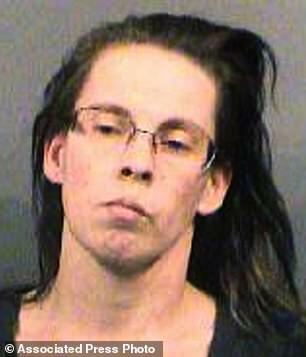 A Kansas mother has pleaded guilty to murder and other charges in the abuse and death of her three-year-old son, whose body was found encased in concrete in the laundry room of their Wichita home. Miranda Miller, 37, tortured her son Evan Brewer for months before his death in May 2017, prosecutors say. A cache of 16,000 photos and videos, most of them taken from a home surveillance system, captured the abuse by Miller and her boyfriend, 41-year-old Stephen Bodine. Among the evidence against the couple was footage of Evan chained and naked in a basement, being berated by Miller and Miller, and forced to stand in a corner for hours. 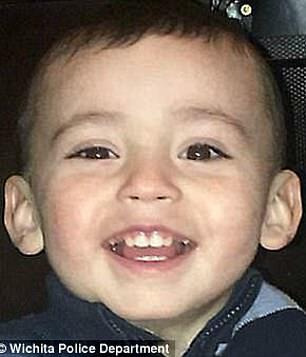 The toddler’s body was found in September 2017, two months after Evan was reported missing when his biological father was granted full custody and the couple refused to turn the boy over. Miller pleaded guilty to second-degree murder, aggravated kidnapping, child abuse and aggravated child endangerment on Wednesday and will likely face 29 years in prison per a deal with prosecutors. 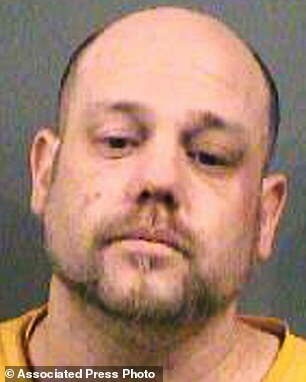 Bodine was convicted of first-degree murder last month and faces a possible life sentence at a December 17 hearing. Miller had testified against Bodine in exchange for the chance to plead guilty to a less serious charge in Evan’s death. According to Miller’s testimony at Bodine’s trial, Bodine had been punishing Evan for not eating on May 19, 2017, when he took the screaming boy into the bathroom. She said he soon came out with her son’s wet and lifeless body in his arms. Miller said Bodine mixed up several bags of concrete and buried the boy’s body in it. Evan’s father, Carlo Brewer, had been seeking custody of his son, and authorities had been alerted at least six times that the boy was being abused. Four months after Evan’s death, Miller was arrested on a charge of aggravated interference with parental custody. Bodine faced additional charges for threatening Brewer with a hatchet when the came to the couple’s rental home looking for Evan. The body was found days after Miller’s arrest when her landlord, who was cleaning out the property, ‘alerted police to a suspicious concrete structure emitting an odor in the house’. By the time Evan’s body was chipped out of the concrete block, it was so badly decomposed that an autopsy could not determine how the boy died. He had Benadryl in his system, and Miller said she thinks Bodine sickened him in the days leading up to his death by force-feeding him large amounts of salt.